Ministerial Committee for Legislation to vote on Likud MK's bill to implement Israeli law in the Jordan Valley. 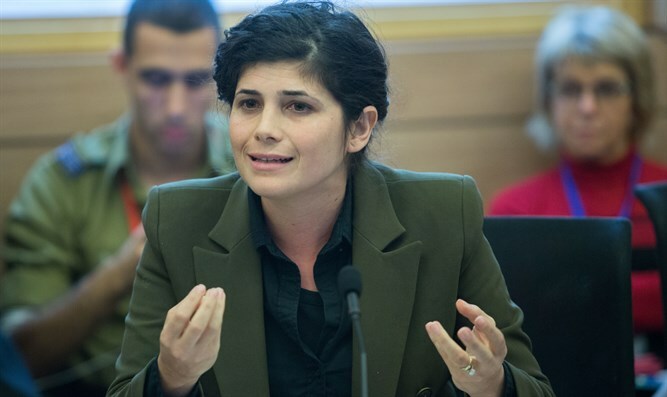 The Ministerial Committee for Legislation is expected to vote on Sunday on a bill proposed by MK Sharren Haskel (Likud) that would implement Israeli law in the Jordan Valley region. "The support we are receiving in the international arena from our friend the United States proves that there has not been and will not be a better time. In the dynamic reality that changes at every moment, who knows what will each day will bring. We have a rare opportunity to approve the proposal before the end of the current Knesset session,” Haskel said on Thursday. "The bill to apply Israeli law to the Jordan Valley is the key to true stability and coexistence. On both the right and left, there is agreement on the security importance of our eastern border," she explained. "This is the first step in the implementation of law and order in an area where for 50 years residents have lived in a lack of clarity and have not received support in development and infrastructure," said Haskel. "With the support of the Likud members who demand the necessary change, with the support of the government where we have the majority needed to pass the bill, together with my friends Motti Yogev and Miki Zohar, I am proud to lead the bill to apply Israeli law in the Jordan Valley,” she concluded. It is unclear whether Prime Minister Binyamin Netanyahu will allow the vote on the bill to go through, as earlier this week he prevented a vote by the Ministerial Committee for Legislation on a different bill seeking to apply sovereignty across Judea and Samaria. MK Yoav Kisch (Likud) said on Thursday that a discussion that was to have taken place this Sunday at the Ministerial Committee for Legislation on the "Sovereignty Law" would be postponed by another week.